The recent changes and amendments to the judiciary threaten to turn back Romania to the 2000s, a period of corruption, US Ambassador Hans Klemm has said on Monday, during the ceremonies dedicated to the start of University Year at the Law Faculty in Bucharest. The ceremonies at the Law Faculty have been attended also by the French Ambassador, Michele Ramis. The US Ambassador mentioned the amendments to the Criminal Code and Criminal Procedure Code, the changes to the Judicial Inspectorate and the unimaginable protests of the magistrates. Ambassador Klemm said the new legal framework offers more opportunities to force the magistrates who protest, through the Judicial Inspectorate, and a new office was set up to sentence the judges and prosecutors, realitatea.net reports. All these cumulated changes threaten to turn back Romania to the beginning of the 2000s, when justice was affected by corruption and political influence, Hans Klemm added. He argued that the progress in justice is threatened also by the amendments to the Criminal Code and Criminal Procedure Code adopted by Parliament this summer. Disguised as concern for the human rights, these changes are a clear attempt to protect certain interests from an independent judiciary. These amendments would make investigations harder or impossible, the US Ambassador said. 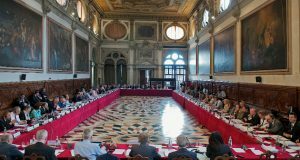 He added that the Parliament has ignored the Superior Council of Magistracy (CSM) opinion and the indications from the Venice Commission and from the Group of States Against Corruption (GRECO). Hans Klemm said there are signs of hope, as the magistrates seem to have reached the level of maturity, confidence and independence. 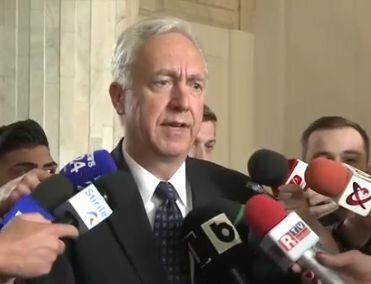 Ambassador Klemm said Romania hasn’t faced such an ample debate on the judicial system and such potential changes since Romania has joined the European Union more than a decade ago. He warned the judicial system, built with such great effort in the past two decades, could be significantly affected in less than a year. The US Ambassador has asked the students if they would have the motivation to protect and improve the judicial system, as such a decision might affect their personal life. He warned that it will always be easier to join the political power. „There is nothing more uplifting than being part of the beginning of an academic year. Seeing a group of young women and men about to embark on their academic journey recalls a tradition dating back centuries – the best and the brightest of each generation coming together in centers of higher learning in order to acquire, and expand upon, the knowledge of those who went before them. This expanding enlightenment, accumulated through generations of toil, and often at great personal cost to the women and men who defended free thinking, or challenged those in power, is the foundation of our civilization. The progress of this collective intellectual journey has not been steady. The result has not been guaranteed. Dark ages, big and small, have repeatedly reversed and blocked the expansion of enlightenment. Conflict, corruption, complacency, and conceit can still lead societies to turn inward, close themselves off, and reject ideas and innovations that threaten vested interests and the status quo. But in the long term, intellectual progress has prevailed. Law has played a central role in guarding and advancing this progress. Seeking to perfect our laws and judicial systems, to make them more effective, just, and independent, is both a central aspect of intellectual progress and critical to protecting that progress. Given the role of law as a guardian of progress, the opportunity that you have given me to address the next generation of Romanian jurists is especially poignant now. Not since Romania joined the European Union over a decade ago has your justice system faced so much fierce debate and potential change. The Romanian justice system, constructed with great effort over at least two decades by the lawyers who came before you, may be significantly dismantled in less than a year. I am speaking specifically now to those of you who are considering careers as magistrates, though whatever field of law you ultimately decide to enter, you too will be effected by these pending changes. Amendments to the justice laws passed by Parliament last year will lower the retirement age for judges and prosecutors from 25 years of service to 20. These amendments will at the same time raise the total post-university training of magistrates from three to six years, temporarily stopping the flow of new magistrates into courts. It is difficult to see how an already overburdened judicial system will successfully deal with this immediate loss of institutional knowledge, combined with a years-long staffing gap. These issues regarding the personnel system of the Romanian judiciary have been discussed with much more understanding and detail by others. Meanwhile, evidence continues to accumulate that magistrates are increasingly targeted politically, and in the media for court decisions and public opinions that political leaders see as endangering their private interests or challenging their legislative agenda. The record of the Judicial Inspectorate over the last year and a half is especially difficult to understand in any context other than that it has become subject to political manipulation. For those magistrates who have not already been intimidated, new judicial legislation creates greater opportunities to coerce and punish troublesome magistrates, through a more powerful Judicial Inspectorate and a newly created prosecutors’ office designed solely to prosecute judges and prosecutors. These accumulated changes threaten to turn back the clock to the early 2000s, when the Romanian judiciary was plagued by corruption and political influence. 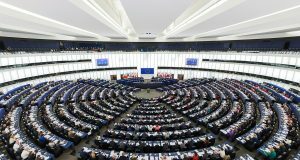 The progress made by Romania’s justice system is also threatened by criminal code and criminal procedure code amendments passed by Parliament this summer. Cloaked in the mantle of concern for due process and human rights, some of these changes are a clear attempt to protect vested interests from an independent judiciary. If promulgated in their current form, some of these amendments will make the investigation and prosecution of the crime, from murder to complex organized crime cases, unwieldly or impossible. International law enforcement cooperation will be significantly reduced because of concerns about sharing information with Romanian law enforcement. The end results will be less accountability, more criminality, and less international cooperation in the fight against global threats to our society and national security such as: cybercrime, human trafficking, corruption, money laundering, and terrorism. In the pursuit of these changes, parliament has turned inward and closed itself off. Arguing the need for haste, and that sufficient consultation with stakeholders has already occurred, the Romanian Parliament has ignored, among other counsel, the opinions of the Superior Council of Magistracy, a signed petition of the majority of Romanian magistrates, and written guidance of independent international legal experts from the Venice Commission, the European Commission, and the Group of States Against Corruption. In the face of all these challenges, however, there are hopeful signs. 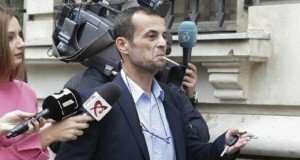 Most importantly, Romanian magistrates appear to have reached a level of maturity, confidence, and independence such that they will not easily allow the justice system to regress or retard. Magistrates have protested legislation affecting their profession and attacks against them in a manner that would not have been thinkable only a decade ago. They have been attacked for doing so, told that their behavior is inappropriate political activity, and threatened with professional penalties, but still they continue to make their views known. This demonstrates a confidence and integrity that suggests that the judicial system may be mature and adequately resilient to survive the current onslaught. But the momentum remains with those who would prefer a more pliable justice system, one that is more responsive to those in power. To a large extent the future of the Romanian justice system will be decided by the next generation of Romania jurists -those of you sitting here today. So the question is: will you have the drive and courage to protect and improve your country’s justice system? It is not a decision that you will make without personal cost. It will always be easier to comply with those in power than to act with courage and integrity. I am confident, however, that enough of you will carry forward the good work of those Romanian jurists who have gone before you and led the reform for the past 20 years. Your predecessors fought to guarantee the independence of the judiciary, ensure the access of all Romanian citizens to justice, improve the administration and day-to-day operations of the judicial system, reform the institutional framework of Romanian jurisprudence, and accelerate the fight against corruption and organized crime. What you leave to the next generation will ultimately depend on your willingness to defend and expand upon that progress. In conclusion, I have two pieces of advice to the students here today: one – study hard, and two – be ambitious.